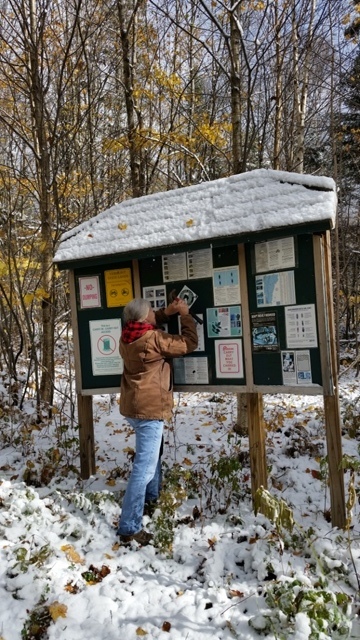 The Willoughby Trail Committee, Karen Rosemark and Luanne Nickerson, worked on Sunday 10-19 with snow on the ground and 28 degrees posting trail signs. The VHC small trail signs were placed along major trailways in the forest until other trailways can be identified as useable by horses per the state. When such trails are identified and permission is granted for horse use then additional signs will be placed. For now these signs in the forest are so riders can get a good sense as to where they are riding. Riders are not to ride on any trails posted hiking trails nor any trails with a no horses allowed sign posted. Hunting is permitted within the forest so caution to all riders to wear safety vests and bells while riding. 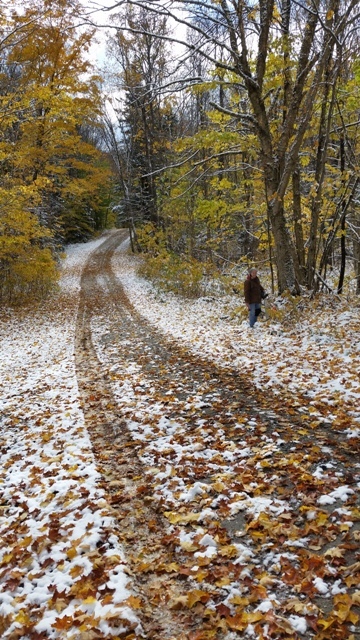 A very brief map is posted under trails on our website regarding phase 1 of posting signs. The committee will be returning soon to pick up large trash within the forest to be disposed of for pleasurable riding.